Congratulations, you made a small human. Children need to be fed and watered, just like an old person, or a dishwasher. Common wisdom- agreed upon by scientists and psychologists alike- suggest that this is a daily task, though we're not quite so sure. In fact, we're damn skeptical. How often does a child really need to be fed? Think about it, when's the last time you listened to an expert? They may sit in their shiny towers with their books about smart stuff, but they aren't down here on the ground, trying to cram child feed into your kid's dumb mouth right now. No sir. That's where we come in. No, we're not cramming food into your particular child's mouth, but we are running tests on our neighbor's kids in order to bring you the skinny on questions like the above. Well, dummy, it’s because we don’t have any of our own. Where else are we going to get them? Sometimes it takes an outsider’s perspective to really understand how this whole parenting game is played. 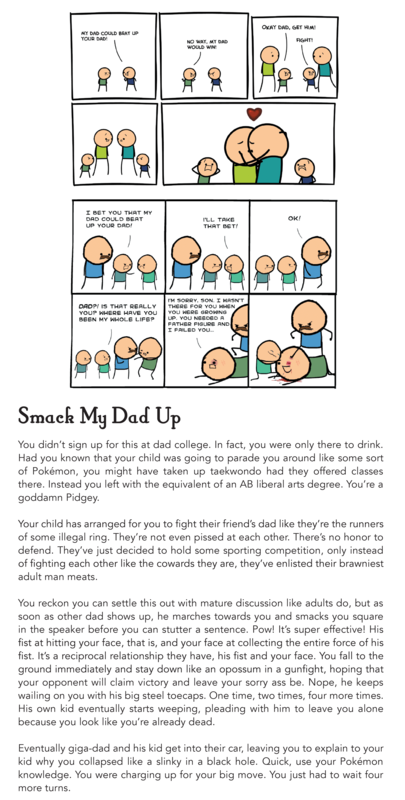 While actual, real parents have been screwing around getting vomit in their hair and having ice cream poured down their pants, we've been taking notes on how to really parent a kid based on our observations, Wikipedia and our own personal experiences with our own well-adjusted, definitely normal parents who we don't hate bitterly. 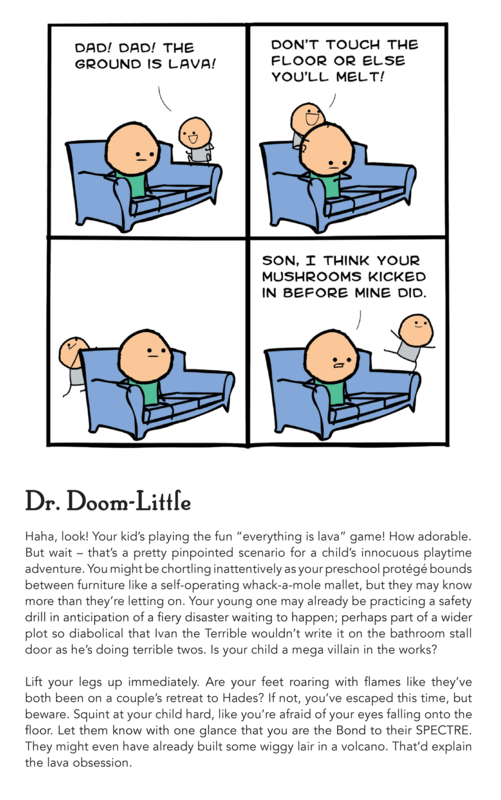 It’s high time for a real book on parenting, and who would be a better parent than Cyanide & Happiness? So burn all those doctor-approved, research-tested, written-by-people-who-actually-have-raised-children books you’ve got, and pre-order your copy of the only parenting book you’ll ever need*!